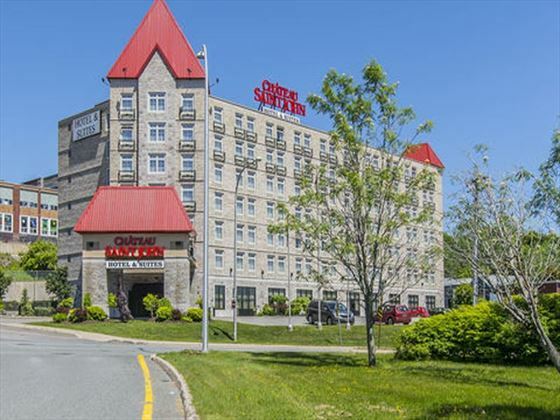 The elegant Chateau Saint John sits in the heart of the city, just minutes from the Old City Market and the famous Reversing Falls, surrounded by shopping, dining and entertainment venues. It pays tribute to the long and illustrious history of Saint John through its photographs and unique décor, while combining a glimpse of the past with today’s modern technologies. 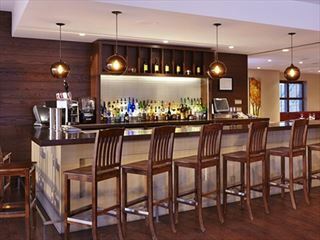 Guests will find spacious rooms that include flat-screen TVs, desks, refrigerators and coffeemakers, and can also take advantage of the business centre, banquet and meeting rooms, or use the public computer for Internet access. 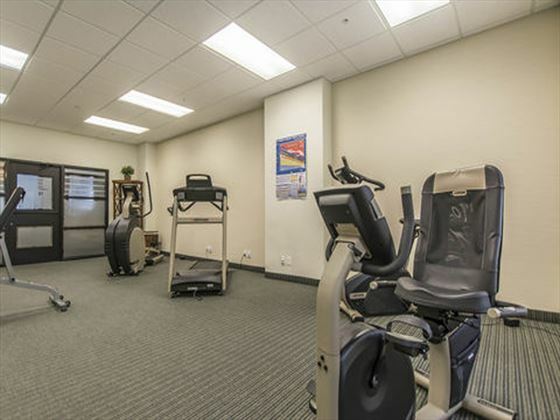 A complimentary hot breakfast buffet and a free newspaper is offered every morning to help you get your day started out right, while the exercise room will allow you to work off stress and keep up with your workout routine. If you want to enjoy a relaxing break in between sights, return during the day for Afternoon Tea. 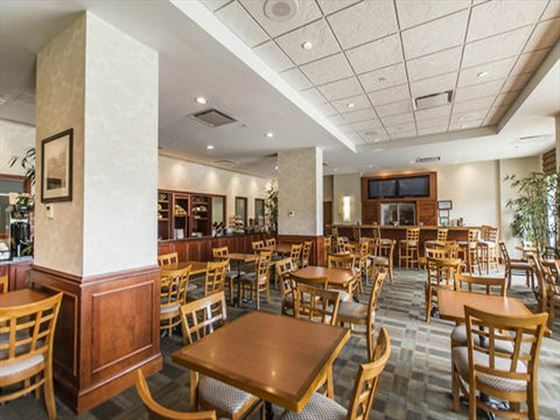 1 King City View Rooms – These rooms offer a city view and include one king-size bed, along with all standard amenities. 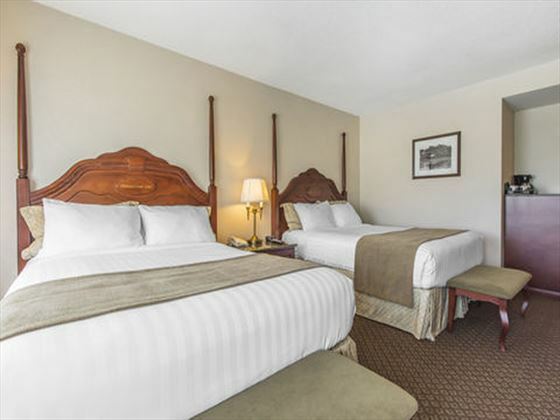 2 Queen City View Rooms – The 2 Queen City View Rooms include two queen-size beds and offer a city view. 1 King Larger Rooms – These rooms include a king-size bed, all standard amenities and addition space for stretching out. They are also available with accessible features like hand rails in the bath tubs. 2 Queen Larger Rooms – These rooms include two queen-size beds, all standard amenities and addition space for stretching out. 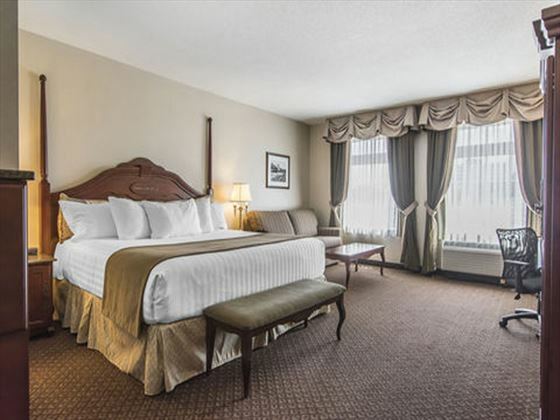 1 Bedroom Queen Suite – This room features a bedroom with a queen-size bed, a living room, fireplace and wet bar, along with all standard amenities. 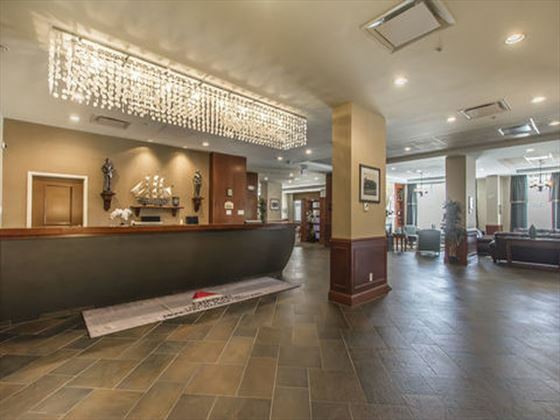 1 Bedroom King Suite – This room features a bedroom with a queen-size bed, a living room, fireplace and wet bar, along with all standard amenities. 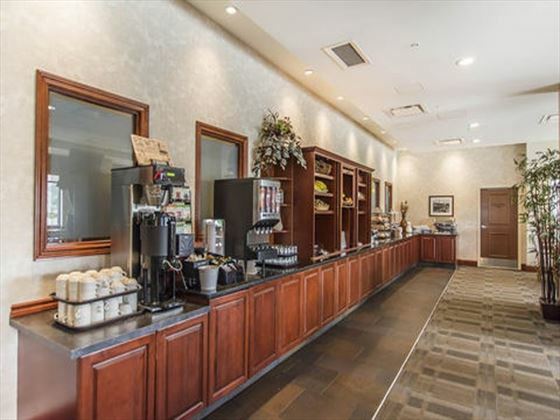 Le Galion is located onsite, offering complimentary hot breakfast service every morning. 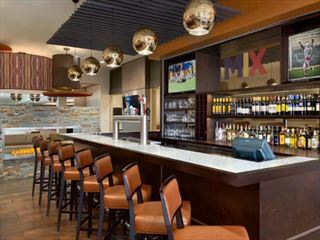 There is no restaurant for lunch of dinner hosted here, however, there are a wide range of dining options nearby. The property is located in downtown Saint John, within a 15-minute walk of Fort Howe, Harbour Station and Saint John Arts Centre.